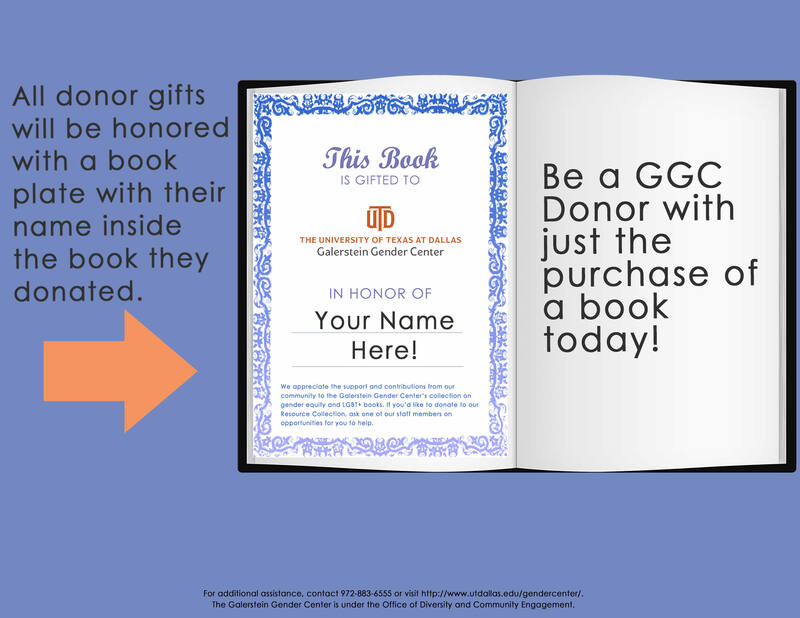 Galerstein Gender Center has raised $ 1,330 from 43 gifts! 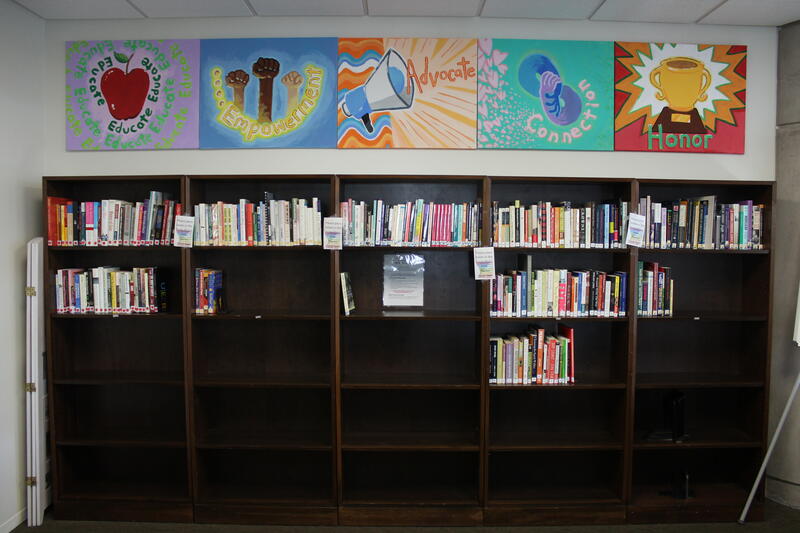 The Galerstein Gender Center (GGC) is a campus resource that fosters a safe and inclusive environment by advocating for gender equity and diversity through leadership development, education, programs, and services. The GGC offers a Resource Collection that contains a growing number of books on various gender and LGBT+ topics. Any UTD community member can check out any of our materials with a valid Comet Card. Please consider making a gift to enhance our Resource Collection. Check out our GGC Resource Collection Wish List!